Petey wishes on the first star he sees, but instead of the dollar he hopes for, he gets only a quarter. The next night his little brother Joey wishes for a cookie - and gets just half of one. The twins, Sally and Samantha, don't fare much better. Try as they might, the children each wind up with a fraction of what they wished for. Can they figure out how to combine their wishes to wind up with one whole, happy pet? 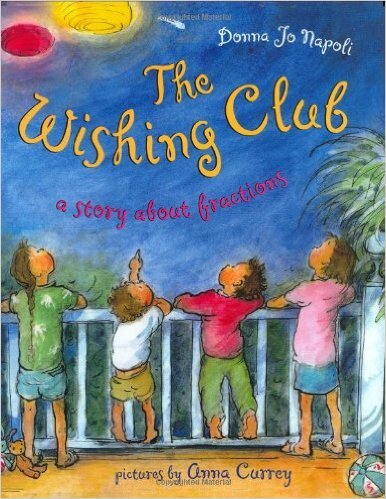 This charming blend of storytelling and math will keep young readers engaged till the very end.